Mastermind is a board game invented in 1970 that QtMind for Windows recreates perfectly with an elegant interface. Put yourself to the test against the machine or let it challenge you to try to break the color code. 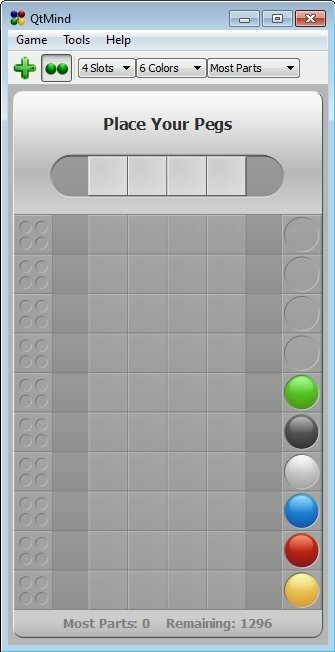 QtMind brings back Mastermind, the game launched in 1970. 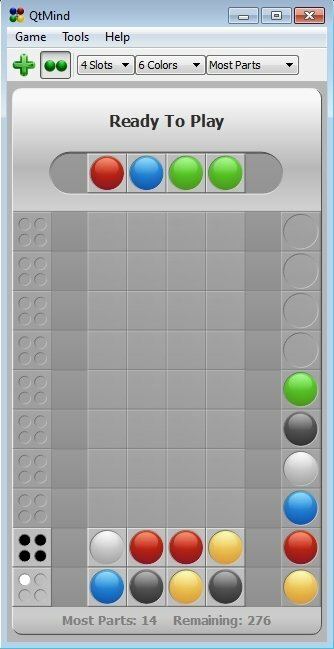 In the original game, one of the players has to choose four color pegs and establish a secret code unknown to the other player. 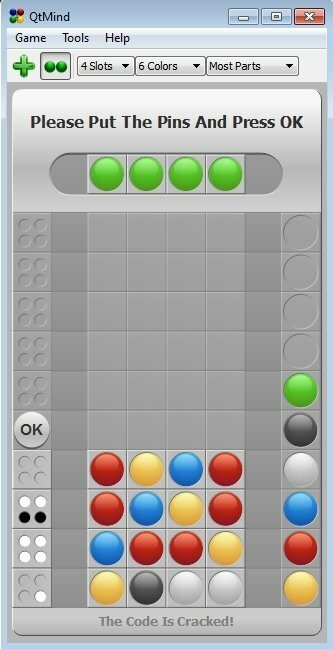 The latter has a limited amount of turns to place color pegs on the board with which he/she will try to find out the hidden code, while he/she will be replied with white or black pins placed on the side of the board, indicating the amount of correct pegs depending on their color and position. Possibility to have between two and five spaces for pegs. Range of colors available between two and ten. Two playing modes (human vs machine and machine vs human). Visual aids and establishment of automatisms. 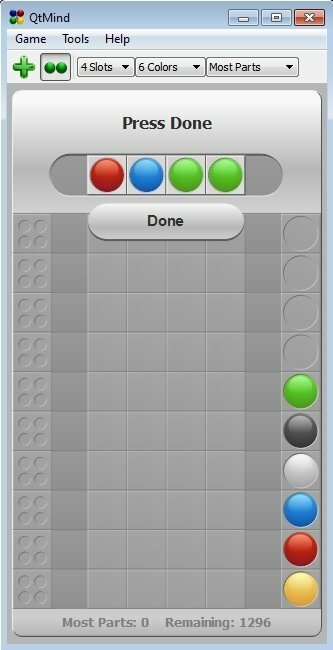 Enjoy playing Mastermind, the classic logic game, with this version with extended functions called QtMind.